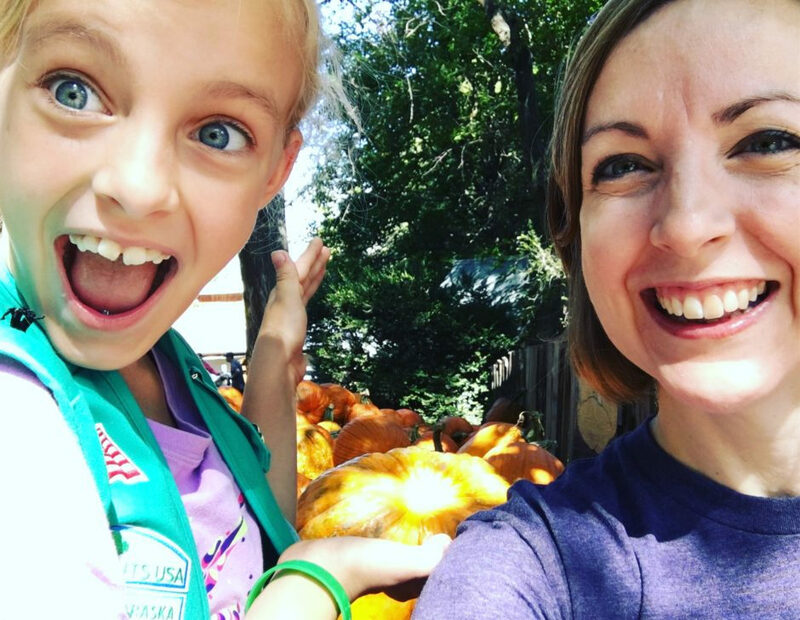 Vala’s Pumpkin Patch is an Omaha tradition in September and October. Dan’s fab bosses always take a big group of us later, but when Macy’s Girl Scout troop announced $10 tickets, we just said yes. I’m trying to do that more often to these rare one-on-one opportunities with my kids. Jesse is a sophomore this year and I can see my seconds with them funneling into the narrow part of that proverbial hour glass and disappearing into a heap of time below me. Yes, let’s go to Vala’s, just the two of us. We met up with her friend Naomi, ate S’mores (created by roasting marshmallows and then placing them between two Thanks-A-Lot cookies – that’s Girl Scout smart! ), wound through haunted houses and corn mazes, rode the train, took in all the beautifully tacky sights, tasted the fair-style food, and stayed way longer than we had planned. 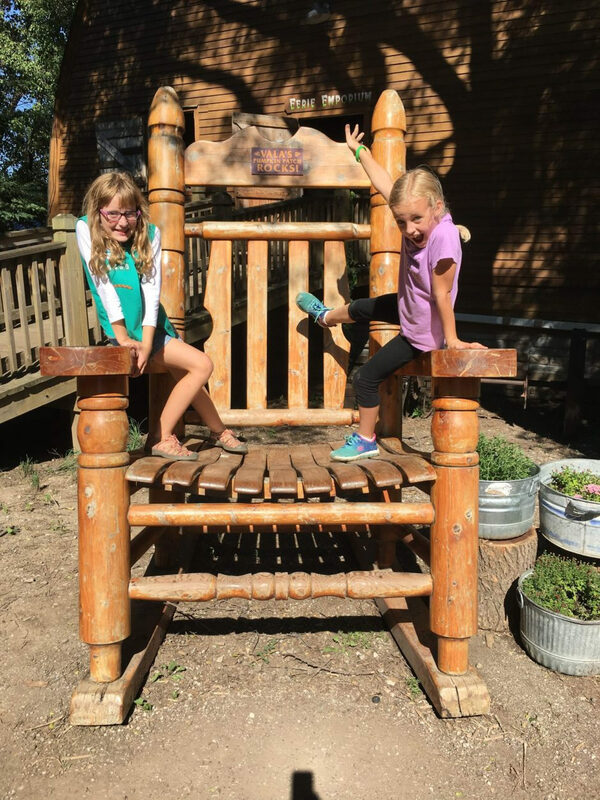 I thought I was a Vala’s purist and wouldn’t find the experience in 80 degrees as charming as it is in hoodie weather – and it certainly wasn’t as charming – but it was great in its own way. Crowds were light, the attractions meant to be scary weren’t as frightening in the afternoon, and lemonade in a souvenir cup never tasted so good. 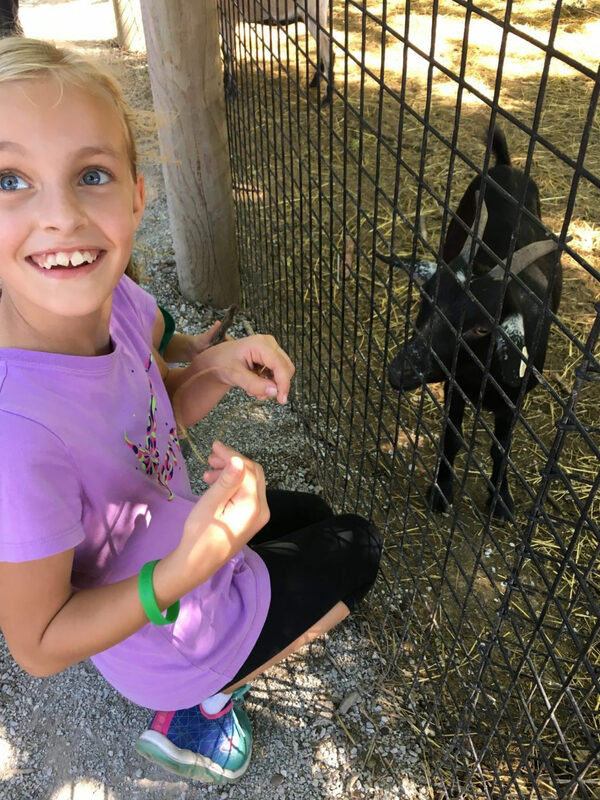 I guess attempting to blog about our fun day reminded me that I had wanted to do something special and important and smart with a new blog post (It’s been sooo long!) but all I really have are some phone photos of this life I’m trying to live well. Still, here I am writing and here you are reading and that’s really the essence of the blog thing anyway, right? Present over perfect in life and in blogging, and that’s good enough for today. “All I really have are some phone photos of this life I’m trying to live well.” Love this so much. (And wow, Macy looks SO grown up.) Thanks for this peek into a sweet afternoon, friend. This long-distance Grandma is eating those phone photos for lunch!!! You are living such a great life. I love every glimpse. Thank you for being smart enough to seize the day and kind enough to share it with the rest of us.